when spirit dies, then what's the cost? when all we do is cry and cry. what if, about us, God forgot? 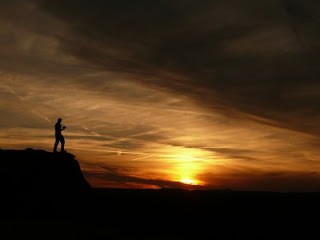 what happens if God turns His back? and let us fall in deep despair? when there's no way in life to cope? and in Him only, we can trust. who did not quit - 'til He was done. Remember God is always there. I found your poetry site via Vine and Fig. 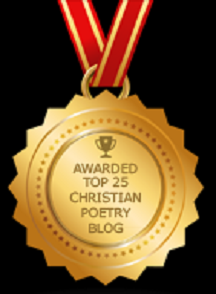 I've been looking around surprised to find so many good Christian poetry blogs. I noticed you include a copyright notice in every post. Do you recommend that over a more general notice on the site? I now have been submitting some at Cross way publications and i think that i am on their face book now! I know this was long but i believe that our gifts were put here to bring many closer to God with their beauty and truth and the light of the Holy Spirit found within. I wish you continued success. Wendell A. Brown "AKA" "The Brown One Poet". My e-mail address is wendellbrown911@comcast.net Thanks for listening!